Pssst– Can you keep a secret? Come join us on May 25th and we will let you in on a little something, on the sly. Rebirth. Rejoice. 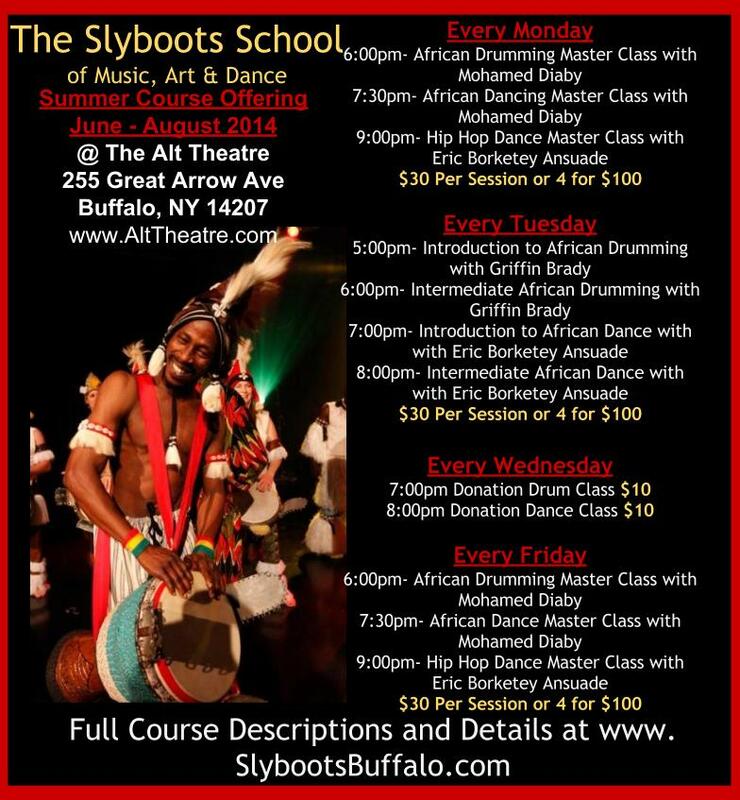 Reestablish the Slyboots School of Music, Art & Dance! 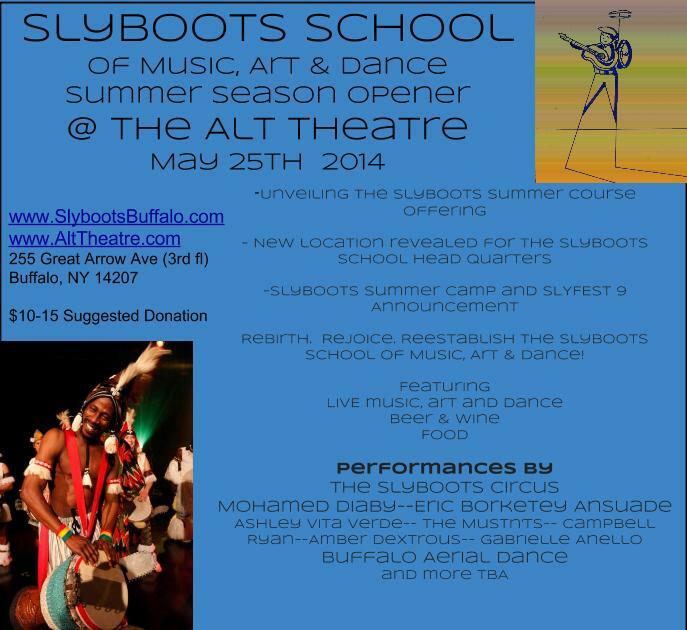 The Slyboots School of Music, Art and Dance Head Quarters is located in Buffalo, NY and has proudly served the music, dance and art communities in WNY and CNY over the past decade, on the sly. 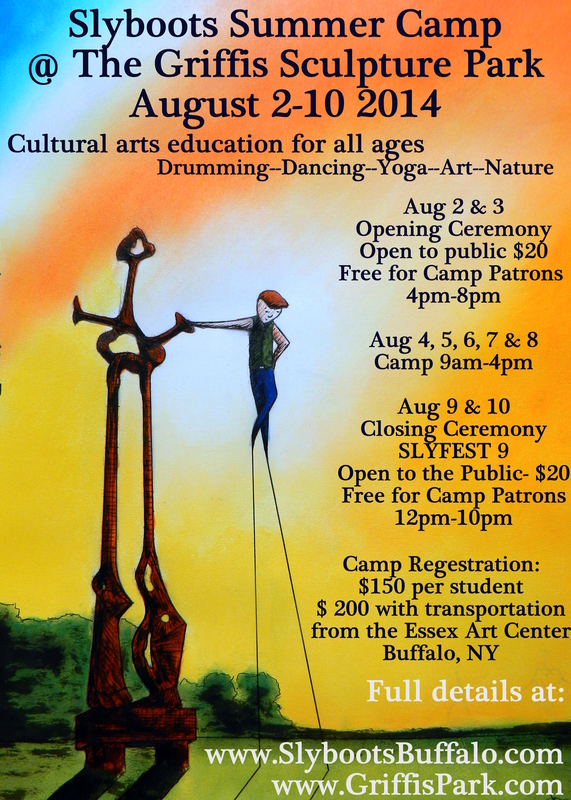 First and foremost renowned for their educational workshops and private instruction, The Slyboots School has been rapidly gaining a name in the Upstate New York Festival scene with their annual fundraiser, SLYFEST– a 3 day camping extravaganza featuring live music, art installations, workshops, YOGA, swimming and even a Hot Air Balloon– held at the Griffis Sculpture Park in Ellicottville, NY. SLYFEST 9 is set to take place in conjunction with the SLYBOOTS SUMMER CAMP in August of 2014. As the Sly family grows from their humble roots in Fredonia, NY to engage larger communities in the Upstate New York area, we have been simultaneously branching out to address issues in our global village and utilize world music as a vehicle to unite people from around the word and manifest positive social change in our communities and beyond. September 2013 marked the start of the Slyboots School’s 7th US tour with Bernard Woma and the SAAKUMU Dance Troupe from Ghana, West Africa- performing at colleges and universities, clubs and schools all over the country. The Slyboots School of Music, Art and Dance has become an international touring organization devoted to promoting positive social change through cultural arts education. Slyboots has helped to expose an estimated 40,000 students to cultural arts programming EVERY year since 2006– that’s 560,000 lives inspired, on the sly. SAAKUMU is the resident ensemble at the Dagara Music Center and is under the direction of master musician, Bernard Woma. We are ecstatic to announce that SAAKUMU will be back in the US and on tour with Slyboots School founder, Griffin Brady, for their 8th consecutive year and SAAKUMU will once again be featured as Artists in Residence (when not on the road) at the Slyboots School temporary location– the Alt Theater– in Buffalo during the Fall of 2014. The Slyboots School also organizes a study abroad adventure to Ghana, West Africa every summer to study the music, art and culture of West Africa at the Dagara Music Center. The next trip is scheduled to run in July 2014. Positive social change through cultural arts education. Educate students about music, art and dance from various cultures all over the world. Inspire students to discover their own uniqueness through the arts and by doing so, allowing them to understand the interconnectedness and importance of culture and the arts in today’s world. • Music – including Music for Everyone, percussion, folk music, electronic music, singing, improvisational ensemble , and performance craft. *A limited number of scholarships are available. 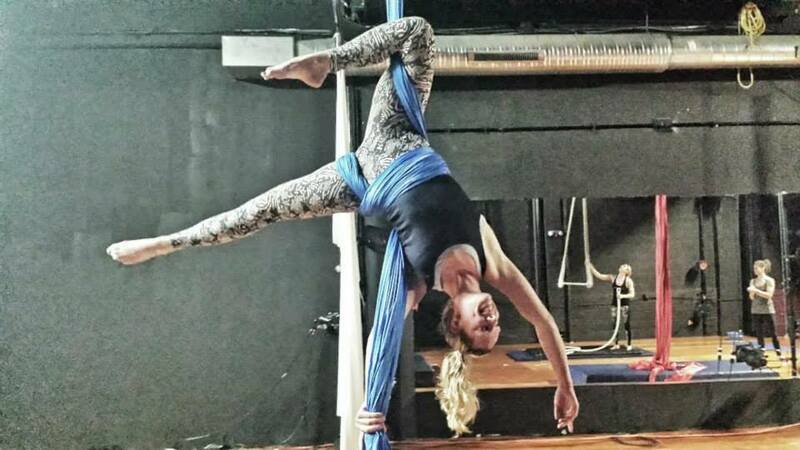 Please call the Slyboots School of Music, Art & Dance in the event of financial hardship.